Fat Loss & Weight Loss - Is there a difference when it comes to diet and training? Female Exercise & Fitness - What Are The Best Methods For Fat Loss? Can 'fat loss' exercises and diets help you achieve a slimmer, more toned body? Fat Loss & Weight Loss are different - how can you lose fat but not lose too much weight? Fat loss and weight loss, is there a difference? The short answer is yes but many women in Abu Dhabi are confused about the differences between fat loss and weight loss. When you go on a diet you normally do so for weight loss so how do you tackle fat loss when you don’t really need to lose weight? We asked as female personal trainer in Abu Dhabi who is a specialist when it comes to ‘fat loss’ to clear up the confusion and also provide some tips on the best exercises you can do to lose fat and tone your body. As a specialist personal trainer in Abu Dhabi who provides female fitness can you explain what the main differences are between ‘weight loss’ and ‘fat loss’? Weight loss – weight can be defined as the total relative mass contained by an object. It can be quantified by measuring the heaviness of said object. Weight loss is achieved by reducing the total heaviness of an object. Fat loss – fat is one of the components that contributes to a human’s total body composition (mass). Fat loss relates specifically to the decrease of the quantity of fat in the human body. From and exercise and training point of view what are the top 10 exercises (workouts) women in Abu Dhabi can do to lose body fat and can you explain how these work and what areas of the body the exercise targets. The human body has a number of different energy systems from which it switches depending on the type of activity being performed. This is so that the body can utilize energy and increase output efficiency. Each energy system uses a different food resource as fuel, the aerobic energy system uses Fat (Oxygen must be present in order to covert fat into energy). This means that; low intensity, long duration (aerobic) activities burn fat most effectively. Does nutrition and diet play a large part in fat loss and if so what foods should really be avoided if someone is trying to lose fat weight? Nutritional Diet is a critical factor in overall health and weight maintenance in the UAE. Foods that are high in saturated fat and refined sugar should be avoided as the body finds these foods hard to convert efficiently into energy, they are also have a low nutritional value. Typically processed confectionery foods with a long shelf life contain large amounts of refined sugar and saturated fat and so should be avoided. Female fitness specialist Jen Chalke is an expert when it comes to helping you slim down and lead an healthier life. 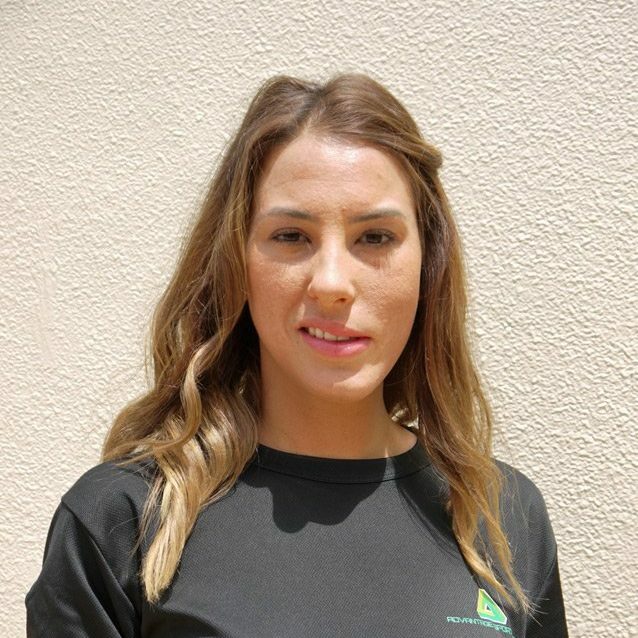 You can view Jen’s full Abu Dhabi personal trainer profile by clicking the link below.